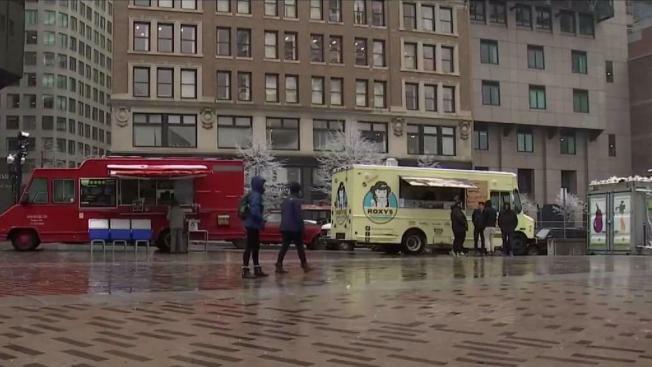 Food trucks returned to the Rose Kennedy Greenway in Boston Monday for the 2018 season, despite a spring storm. According to the Greenway Conservancy, the popular area will see up to 25 trucks and carts a day. Even though the weather wasn't the greatest Monday, vendors said they were optimistic that patrons would be out to sample the food. "The weather is not so nice but they say it’s gonna clear up so I'm optimistic," said David Padgett of State Grill. 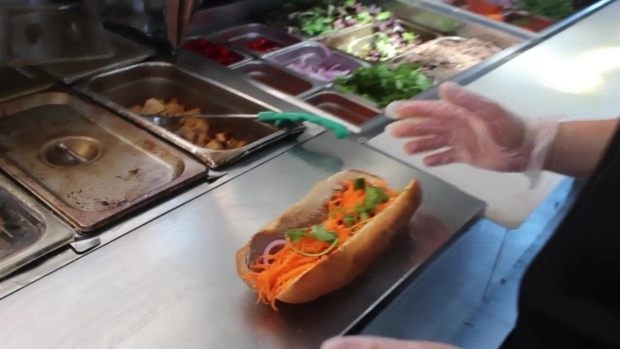 Bon Me is one of the most well-known food trucks in Boston, and for good reason too. Their Asian menu has something for everyone and they're constantly growing. "I think April 1 marks a good start to a busy season," added Brian Mcnally of Bon Me. "It's a little wild today. I wish we had the weather from yesterday. April 2 — it's snowing out here in Boston. I guess that's what we get in New England." The Greenway Mobile Eats food truck program began in 2010 with Boston's first gourmet food truck and has now grown to over 35 vendors across seven locations through the park. Customers can find anything from Indian delicacies to Korean fusion to fresh seafood and specialty pizza. Over 600,000 hungry people were served on The Greenway over the course of 2017. The Conservancy has added 7 new vendors this year including Clyde’s cupcakes, Papi’s Stuffed Sopapillas, and Mr. Tamole. The daily food truck schedule can be found at www.rosekennedygreenway.org/food with Twitter updates via @HelloGreenway.